What The Hey ! He Doesn't Have To Catch The Ball, You Kidding Me? Infield Fly Rule is simple but might get a little complicated for me to explain let me quickly add there has never been a player of the game who could fault the logic of this fair play golden rule. Rules of baseball play in this game of baseball maintains a control and order of play which many have with stood the passage of time. Baseball with all its rules still is the game that has captured the fascination, love and adoration of generation after generation of competitive players and the fans. If I told you that a pop fly hit so as to be easily caught by an infielder, the hitter could be called out and the infielder doesn't have to actually catch the ball would you believe it? One of baseballs obscure or little known rules is this infield baseball fly rule which is a prime example of how rules of baseball play a big role in our game of baseball. Come on now. Yes I am right we have what is called in certain situational circumstances, of the games action, the baseballs Infield Fly rule. Less than two outs a pop fly staying in the infield area and the Umpire can call the batter out. This part of baseball playing rule we call the infield fly rule. Well thats the simple explanation but you see that is not all of the story as Paul Harvey would have said. There are more parts to this puzzle. There is the blue sky, thats at the top of the puzzzle. Find all pieces with blue on them and place them up at the top. First off, the ball must be hit up into the air.Thats the blue, and it must be within easy distance to one of the infielders to get under and catch. Infielders are the third baseman, the shortstop, the second sacker and the first baseman. Stay with me. This infield fly rule is a little complicated part of playing baseball. The infield fly rule and is not all that bad. The ball is hit into the air and there is less than two (2) outs. Stay right with me. Runners are on base, i.e first base and maybe first base and second base. Don't leave me. Stay right there. Here it is. Less than two outs,runners on base, (first or first and second) fly ball can be caught by an infielder,Umpire immediately calls the hitter out. The purpose of the rule is so as to not allow an infielder to purposely drop the ball grab, it from the ground and proceed to complete a double play. You see, runners have to stay on base and tag up after a catch before attempting to advance a base after the catch. It would be unfair for one rule to require runners to stay on a base untill after a catch and then to allow some sneaky little second baseman to cleverly pull off a double play. Boys if you can explain this infield fly rule to your girl friend she will forever be in your debt because she will not only be the prettiest girl in town she will know something about baseball rules most of the other girls don't know. For a girl to know something the other girls do not, is worth more than a hand of cards which holds the King of Diamonds and also the other three kings. If I failed to properly explain baseballs infield fly rule then shame on me and for goodness sake let me hear about it. Baseball and the baseball game rules make the playing more toward having the proper skills to best the opponent by ability than by trickery or being a lazy mans out. 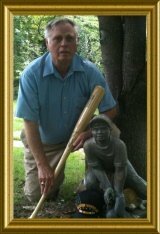 Any way we slice it the game of baseball is not only fascinating for the novice it is akin to being the Blue Ribbon Winning Farmer raising prize pigs in the county. Everybody loves a winner. That winning attitude is what drives the beginning youngster and provides pride and jubilation in the heart of that ole weather beaten ball playing veteran. This winning attitude also involves knowing the rules of the game and respecting the rules. As Mikey might would say, "Try it. You will like it." 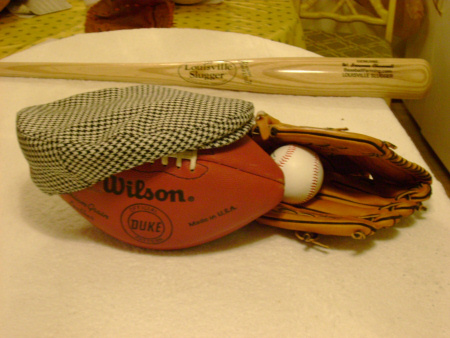 Check out some good baseball gear from one of our baseball partners below then lets go check on other interesting baseball rules and lingo like this Infield Fly Rule is also included as a part of Baseball Lingo. Grow your business get business smarter ask for and get true affordable professional help. It is so easy to get started. Click here these are your Sitesell Professional Site Builders World Class Business website builders. Website Hosting considered to be at the top in the field will lead to Web-Building Success. Solo Build It provides Awesome results Here's the Proof! Go Shopping Save Time And Or Money.